Below freezing temperatures caused the bay to freeze over with a thin layer of ice. The first Trumpeter seemed shocked when it landed and skidded on the ice. 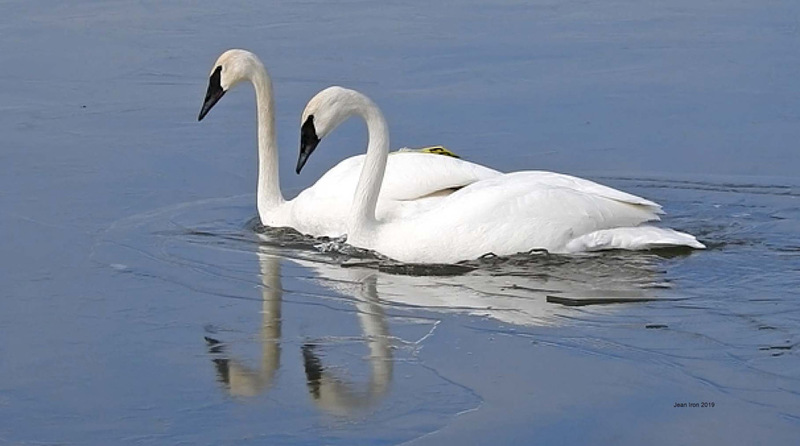 The second Trumpeter in the video put on the breaks, then broke through the ice to reach its mate nearby. Frenchman's Bay in Pickering, Ontario on 18 March 2019.